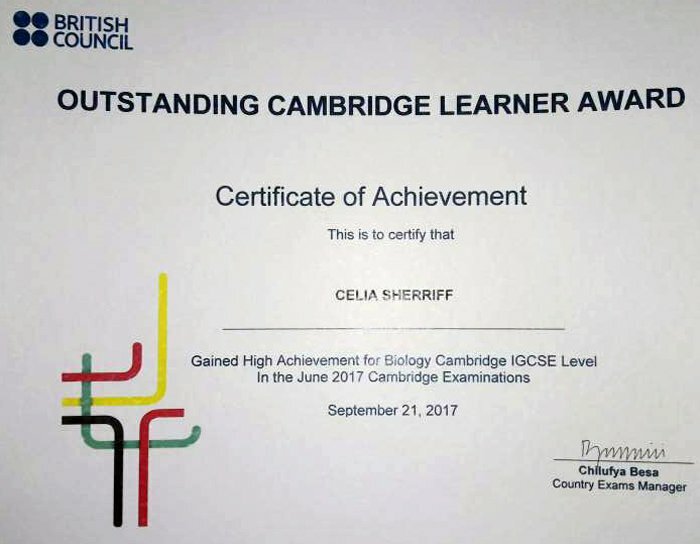 Wolsey Hall Oxford student Celia Sherriff who is homeschooling in Zambia, has been selected by the British Council in Zambia (where she sat her IGCSE exams) to receive the Cambridge Outstanding Learner Award certificate and prize for her excellent result in IGCSE Biology. Celia achieved IGCSE Biology A*, Chemistry A, English Language A, ICT B, Maths B and Physics A. The Cambridge Awards programme celebrates the success of learners taking Cambridge examinations in over 40 countries around the world. Cambridge places learners at the centre of its international education programmes and qualifications which are inspired by the best in educational thinking and recognised by the world’s top universities and employers. The Sherriff family have triumphed homeschooling in Zambia living as they do in a very rural region. They have taken Tutor Skype calls from a barn with frequent connection problems but have powered through. This family is a shining example of how homeschooling can work very well. Brother Adam Sherriff (whose essay about Zambia you can read here) has also taken exams with Wolsey Hall and has done very well, and younger sister Robyn is still completing her IGCSEs. Last year, over two million people took exams with the British Council, in over 90 countries around the world. For Celia, to be recognised by Cambridge as ‘outstanding’ within her country is highly prestigious. Wolsey Hall students need to register as private candidates to take their exams, in a location which suits them. 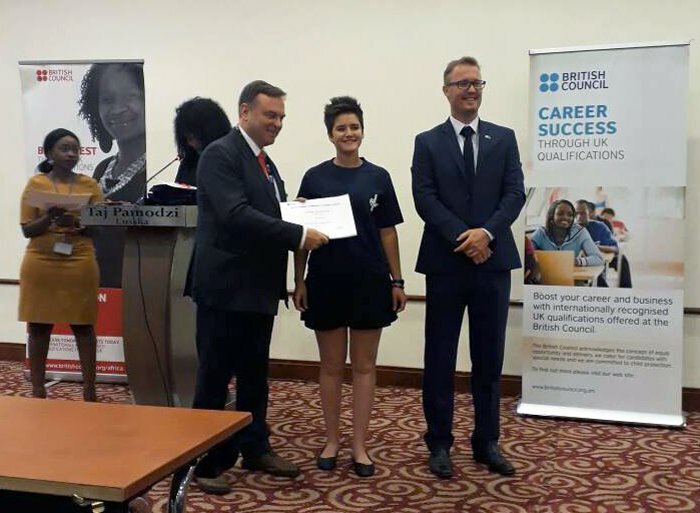 The British Council has a very well established reputation for delivering excellent quality examinations. Their examiners are trained and accredited by Cambridge English. Their facilities are fitted with the latest technology and audio equipment, catering to those in need of any special arrangements so long as those are communicated in advance to the exam board. Cambridge IGCSE is the world’s most popular international qualification for 14 to 16 year olds, recognised by leading universities and employers worldwide. These IGCSEs were developed over 30 years ago, and remain the most trusted by schools around the world. If you are homeschooling in Zambia or another very rural location like the Sherriff family we’d love to hear from you. Contact us with your homeschooling experiences.